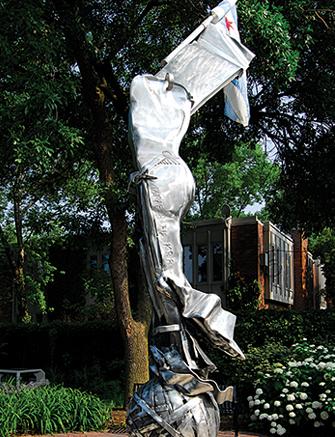 Thomas Scarff is known for his use of light within sculptures, but it is always the sculpture that is preeminent. 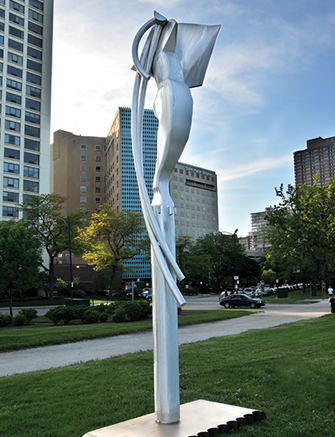 Here with “Windfighter” is the classic abstraction of a human figure – this time waving/holding a Chicago flag. This figure stands solidly on a globe. 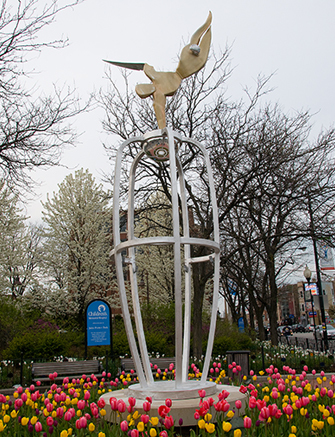 The placement of this piece in a small park next to a Chicago Fire House is deliberate. He created the cast bronze memorial “The Fallen 21” for the firefighters killed in the 1910 Chicago Stockyard Fire. 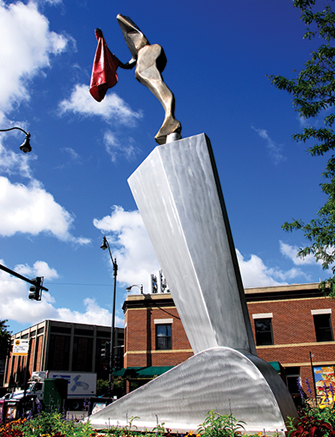 For more than 30 years Tom Scarff has been an important artist at the forefront of contemporary sculpture. 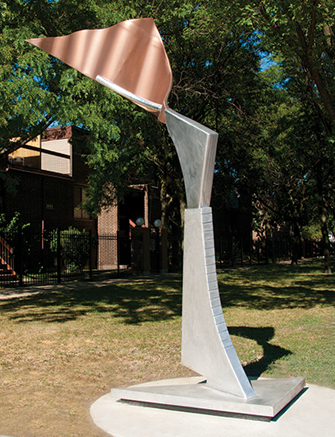 His residence and studio are located in a former CTA substation in Lincoln Park. Three years ago, Scarff designed and created a sculpture fountain, on land that ironically had been reclaimed from the CTA on the Northwest corner of Clark and Wisconsin.